you will build your first mobile app. MobiRoller app builder comes handy if you are planning to build mobile apps for Android and iOS devices. Go ahead and test our app building platform for free, for as long as you want. You can start building your app right away and let us know if you need any help. We can't wait to get in touch with you and help you create your desired app! How to build apps with our platform? You can build apps three different ways. First, you can turn your mobile website into a mobile app. Secondly, you can make an app out of your facebook page. Third, you can create your app using MobiRoller CMS. Once you sign up and access to MobiRoller app building control panel, you can decide on how to build your app. In any case, you need an app content and an app design for your app to be published in Google Play and Apple App Store. How to add content and design your app? You can add your content by adding the ready-made modules in our control panel. Go to add content and choose a module that fits your needs. Your apps can have text, images, forms, maps, notes, chat room, settings, HTML codes, etc. as a content. We created modules for each content type. For example, you can add HTML code to your app by adding the Custom Screen/HTML module. Simple as that. 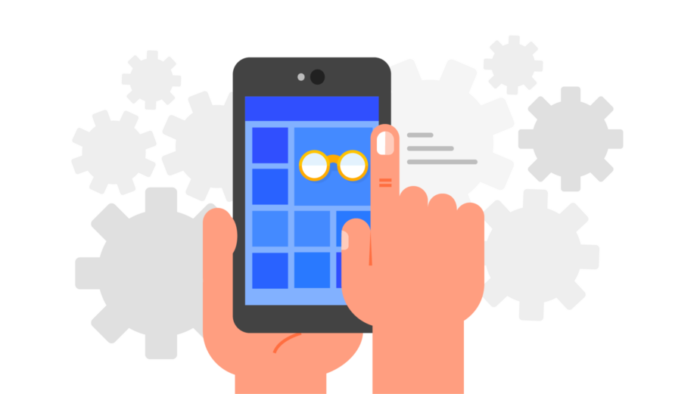 When you add a couple of modules to your app, you can start personalizing the design of your mobile app. You need to take care of at least a couple of images such as app logo, splash screen, menu background. If you are not familiar with image editing, you can use our free templates. You might as well hire a MobiRoller design expert for tailor-made app design. Once you finish your app content and design, your app is ready for app publishing. Note that your app won't show up in Google Play or Apple Store itself. You need to upload your app files to the respected store manually, for your app to show up in the stores. We call this the app publishing process. You will also need to open up an account called developer account to be able to publish your app both in Google Play and Apple App Store. Refer to our support site (support.mobiroller.com) for a detailed explanation of app publishing. SMB owners most of the time would like to create mobile apps for two purposes using our app builder. The main reason is usually establishing a mobile customer loyalty program so that their customers keep buying from them. Secondly, they would use their app in app stores for branding purposes. In other words, they want to represent their business in the app stores and allow their customers to interact with them. So if you are a small business owner, contact us for your app-building purposes and let us help you as well. Entrepreneurial spirit contacts us for the sole purpose of making money with mobile apps. Are you interested in making money with mobile apps? You can do that by making a content app with MobiRoller and monetize it through in-app-advertising. Let us know if all of this makes sense to you and you have what it takes to become a mobile app entrepreneur. Not only small businesses use our app builder. Corporate size companies, greatly benefit from our platform to create their first ever mobile app. They often have a great mobile responsive site so using MobiRoller; they can build a web-view app in a matter of minutes. This way they would save a tremendous amount of time and money for their first mobile app project. Most of the time tech people of big companies contact our app builder support, and we love to help them. Marketing agencies, digital agencies, SEO agencies and freelancers already have a customer base with a need for mobile apps. Therefore, we provide a mobile app reseller program for them to create and sell apps to their clients. If you are in the same situation, contact us and get a quote. People that are familiar with creating web content and monetization contact us for a partnership purpose. A mobile app can bring up to 10x ad revenue compared to desktop ads. So we often build an app for content creators and start making money together. What kind of apps can I built? You can create native Android&iOS apps for small businesses as well as content apps for your purposes with MobiRoller app builder. Can I make money with my app? Yes. You can add your AdMob codes to your app and generate ad revenue. MobiRoller also has an internal ad network, and we can help you make more money with ads such as push notification ads. You are the owner of the app. This is also stated in our user agreement. Can I build apps for my clients? Yes. We have a mobile app reseller program if you want to build apps and sell to clients. MobiRoller is an app builder platform where anyone can build a mobile app without coding. We are a transparent company and product suggestions are highly welcomed since we put user and customer happiness at first place. We would like to help entrepreneurs and freelancers a lot so if you begin your app journey with us, we will move forward fast.